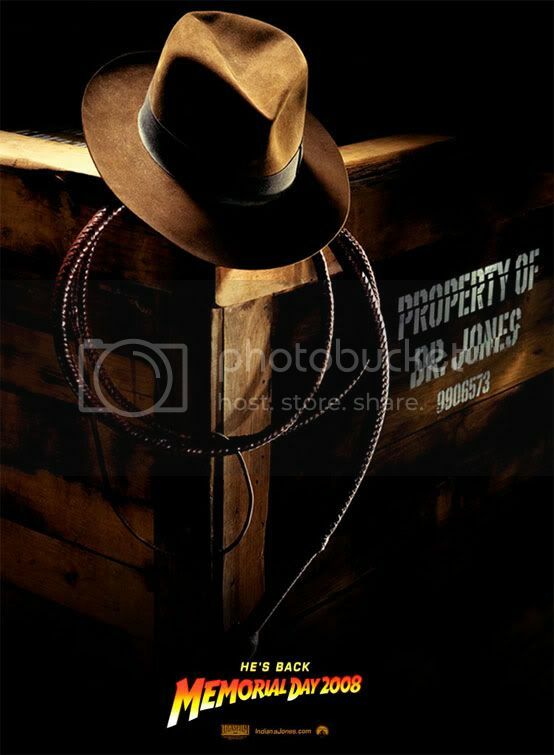 The last news about Indiana Jones 4. 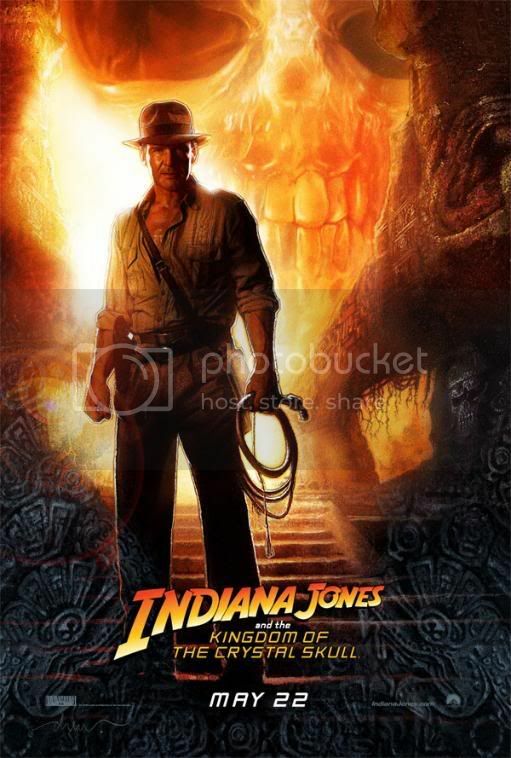 Harrison Ford and the Kingdom of the Crystal Skull. Trailer coming soon. 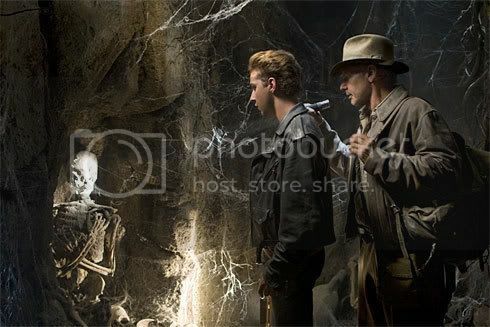 The second trailer of Indiana Jones 4, aka Indiana Jones and the Kingdom of the Crystal Skull has been officially released. 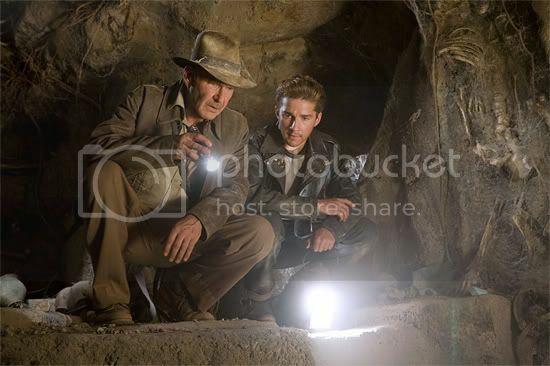 Harrison Ford and Shia Labeouf team up to find the Crystal Skull in this fourth installment of the Indiana Jones movie series. 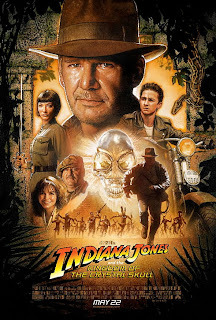 Maybe the best Indiana Jones movie ever! 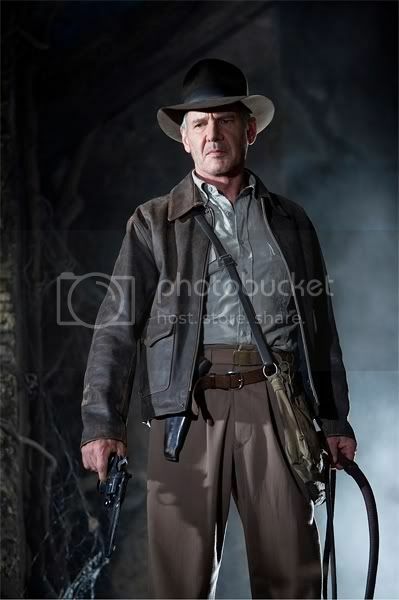 I heard that Harrisson Ford enjoyed so much to reprise his role of Indy that a fifth Indiana Jones movie isn't excluded. 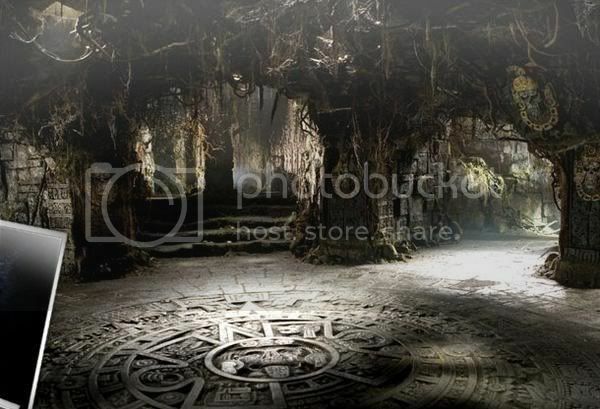 Would be definitely nice to have Indiana Jones 5! 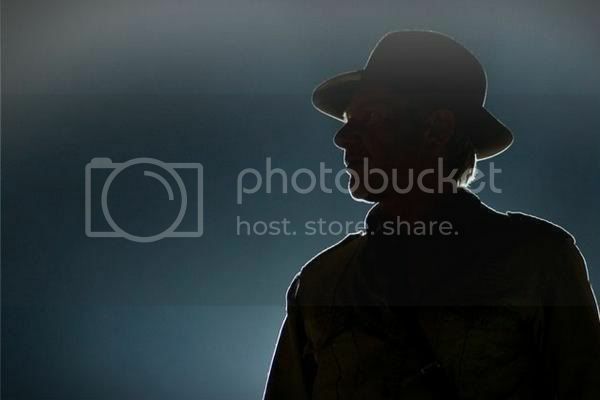 Harrison Ford is back in the role of Indiana Jones. 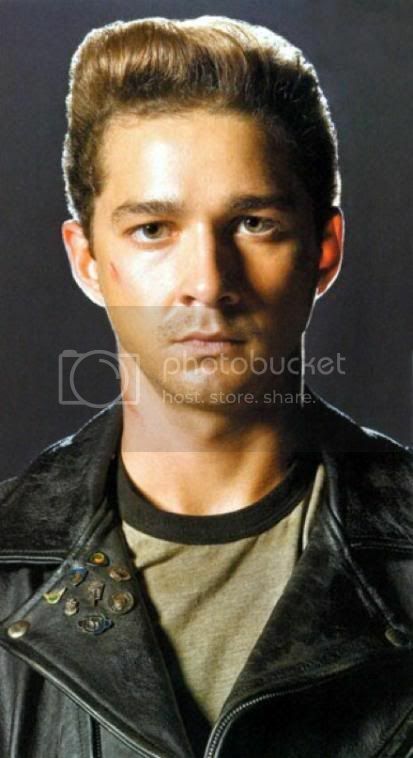 But of course he's oder- although still fully kicking and alive -, so some young blood has been added to the movie: Shia Labeouf. 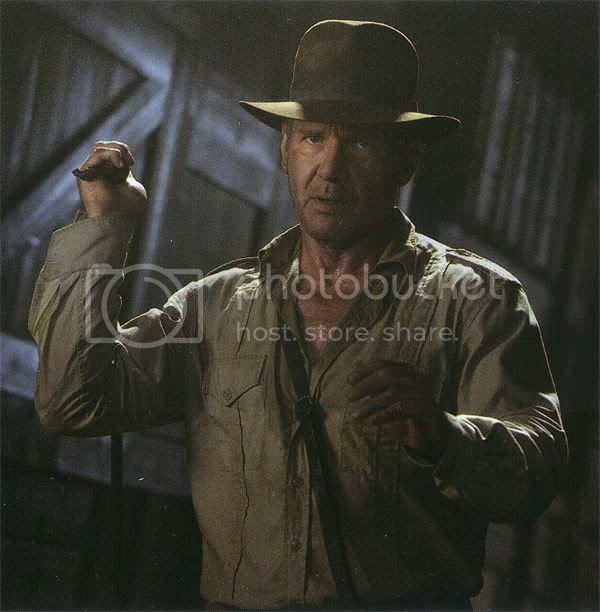 Looks like Harrison Ford was quite happy to get back his hat and his lash! 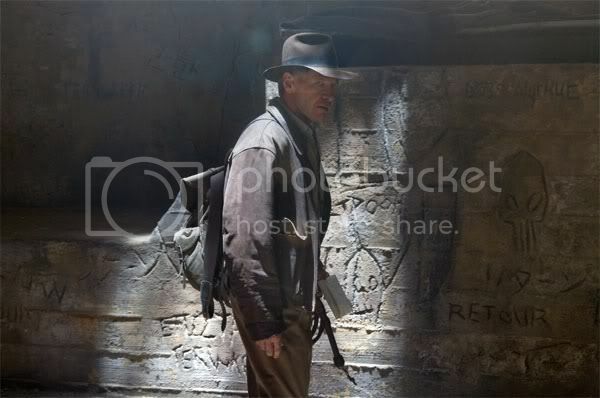 Indiana Jones isn't old at all: he has just more experience. 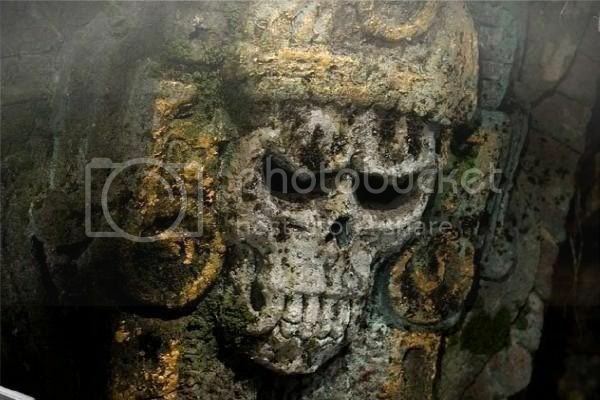 The first official teaser trailer of Indiana Jones 4 - aka Indiana Jones and the Kingdom of the Crystal Skull - had shown up! He protected the Power of the Divine. He saved the cradle of civilization. He triumphed over the armies of Evil. 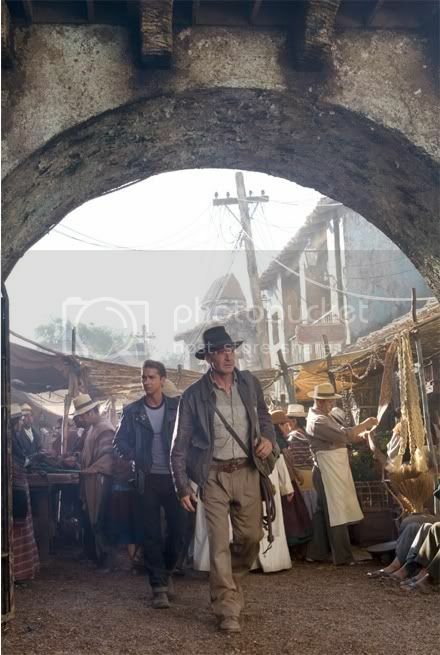 Indiana Jones is back! Yahoo! I said once that Harrison Ford was ageing: ok i take back what I said. 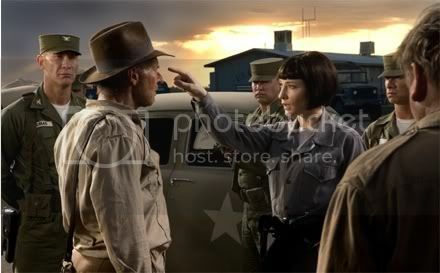 Damned, this Indy 4 is gonna be good! 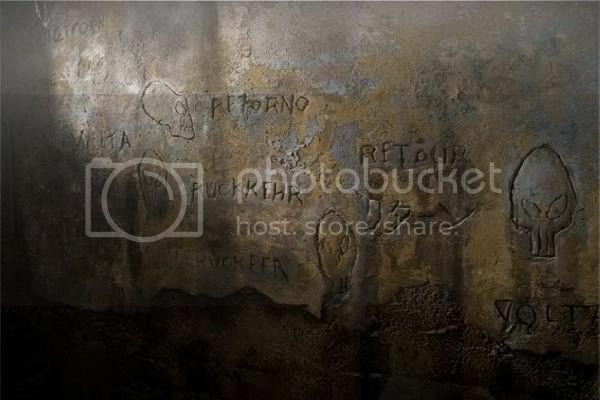 Time to go to the Church to thank God for I live in a great cinema era. Want to listen to the cult soundtrack of Indiana Jones again? 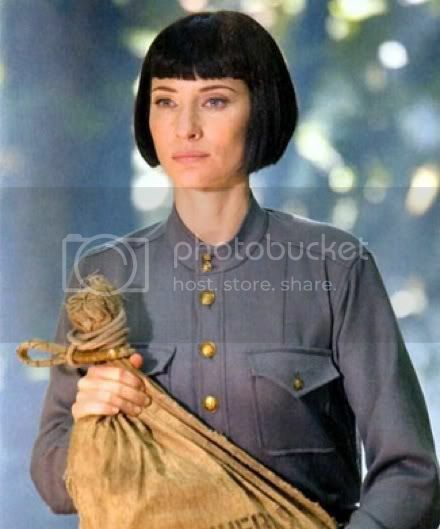 I'm so impatient to watch Indiana Jones 4! 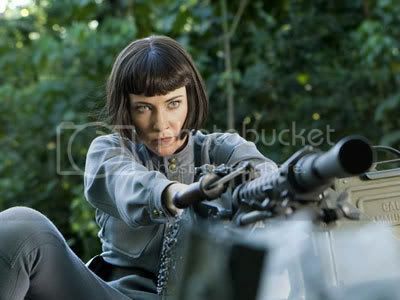 But I'm so found of this movie that even if there is a leaked version I would wait to go to a theater to pay a ticket: I want to reward the great work that has been done! 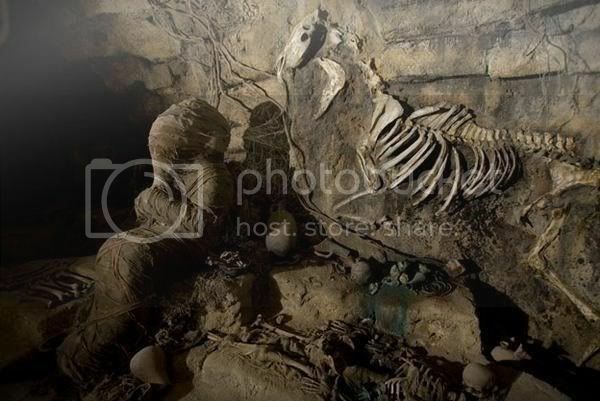 - The movie plot is set at the height of the Cold War in 1957: so Indy has aged in by 19 years compared to the former installement. - Indy is now a quiet teacher, but he is brought back to a life of adventure. 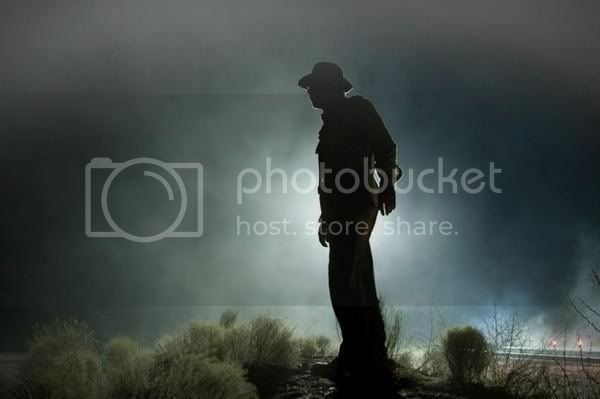 - The story takes him to New Mexico, Connecticut, Mexico City and the jungles of Peru. 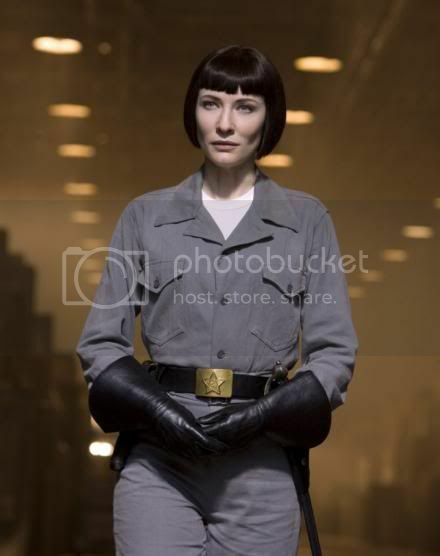 - Indiana Jones' Chief foe are no longer the Nazis but operatives from the Soviet Union, including Cate Blanchett as the seductive Agent Spalko (with who he is going to have a hate-love relationship! 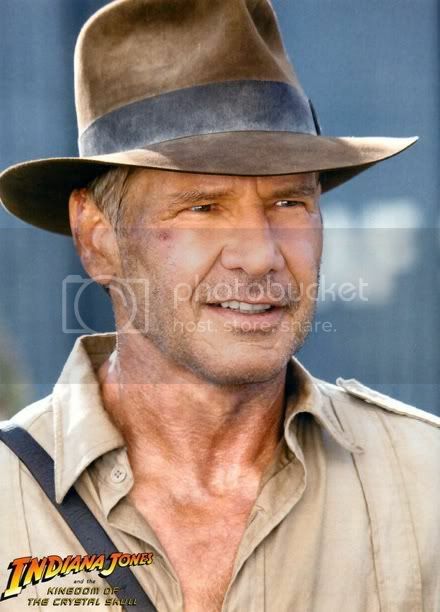 Indy/Harrison, 65 years old, but still kicking and alive ;-p ). 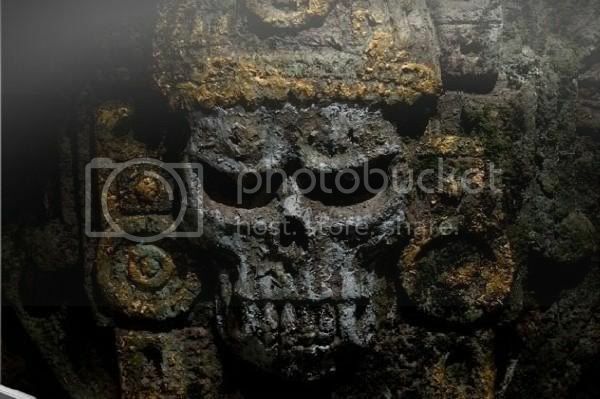 - The Crystal Skull is inspired by real pre-columbian quartz sculptures. I heard that a trailer should be released soon. I'm quite impatient! 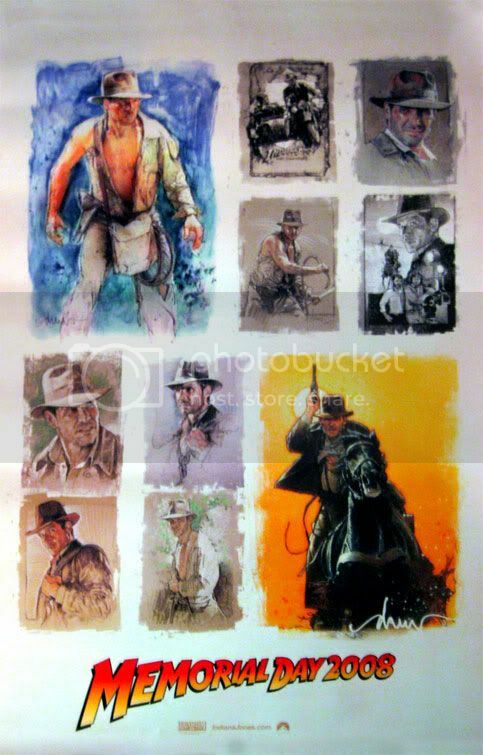 Harrison Ford is still a mighty Indiana Jones after all! In this featurette we may also catch sight of Shia Labeouf riding a motorbike.